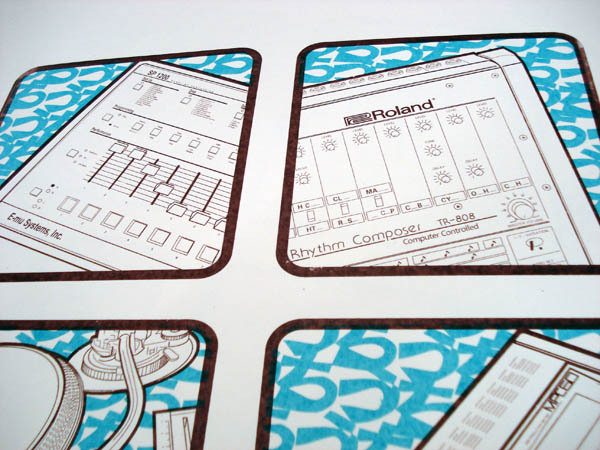 Lmited editions, hand screenprinted in 3 colours. Signed and numbered. Print size 38 x 56cm. For your viewing pleasure and for a limited time only, give a big handclap to the Roland TR-808 drum machine, the AKAI MPC 60 sequencer, the E-mu SP-1200 sampler and last but not least, the Technics SL1200 turntable spinning none other than “The Breaks” 12 inch by Kurtis Blow. 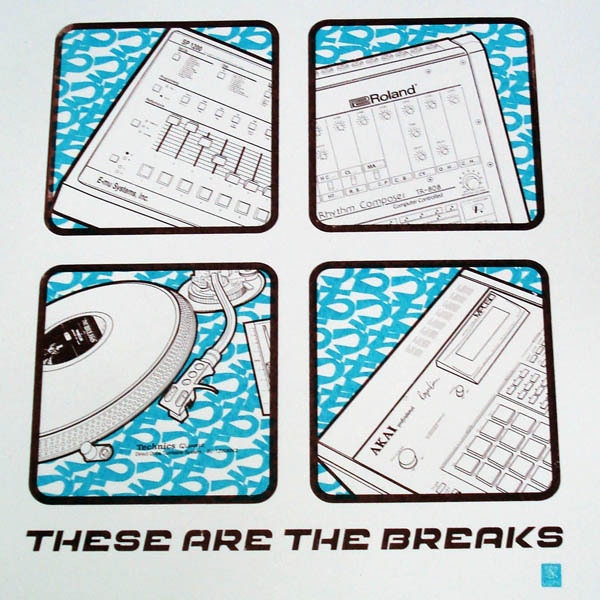 “These Are The Breaks” is proudly bought to you in the classic uchi four square format and rounded off with the help of the Tomahawk cruise missile lettering.